Genealogy - Benjamin D. Merchant - P. D. Williams - Robert H. Hooe - Jerome B. Norvall - Thomas J. Smith - W. H. Payne - Prince William County, Virginia - Manassas, Virginia. 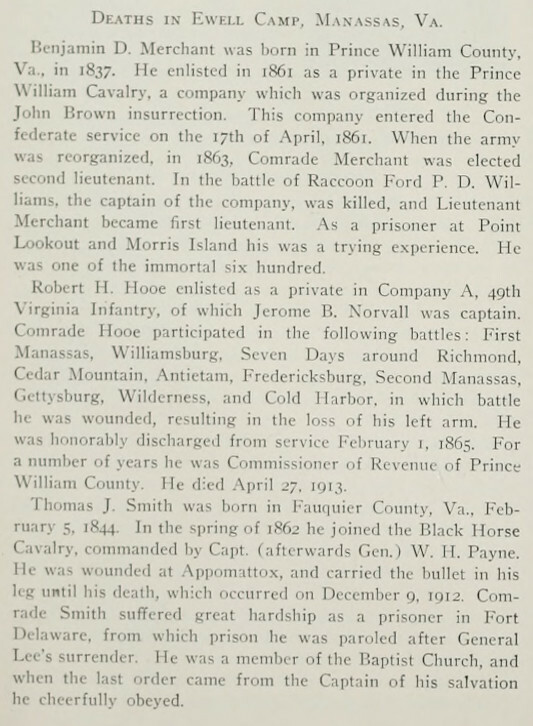 Deaths of Confederate Veterans at Manassas, Virginia. SOURCE: Confederate Veteran Magazine, August, 1913.